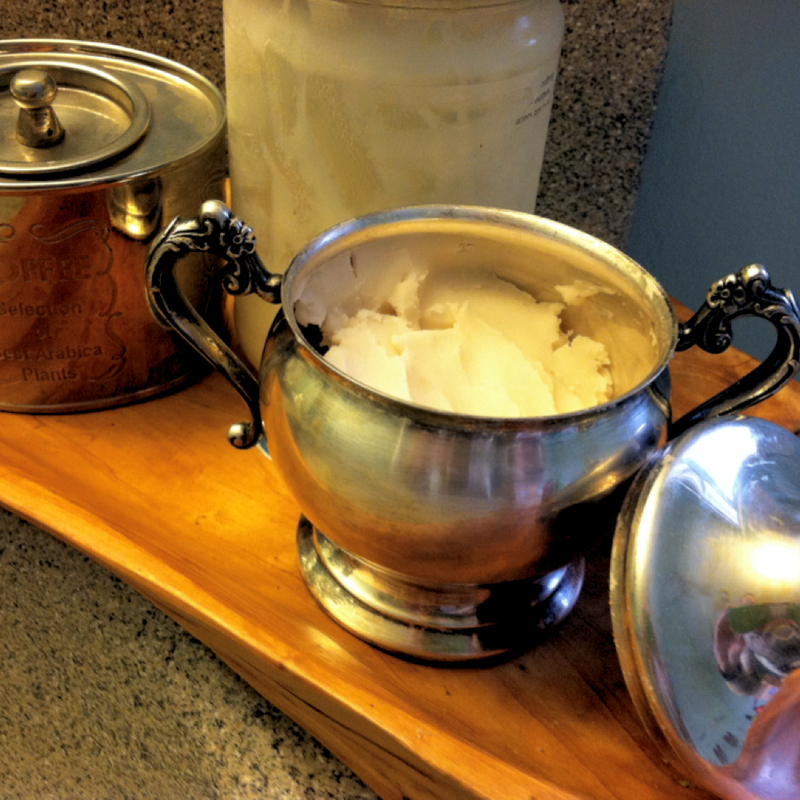 Home / Favorite Things / Friday Favorites: Homemade Deodorant Recipe That Really Works! Friday Favorites: Homemade Deodorant Recipe That Really Works! 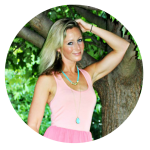 Kelly’s Friday Favorites: Homemade Deodorant Recipe That Really Works! Okay, I’m getting a little personal in Kelly’s Friday Favorites and talking about B.O. I’m not a fan and don’t know any that are. Having an all natural deodorant is something that is important to me because I don’t like putting unnecessary and harmful chemicals on my body that are found in commercial deodorants. I have tried every all natural deodorant that I could find in stores and online. I’ve literally tried over 20 different brands and sometimes spending over $20 (shameful, I know!) for a bottle of natural deodorant hoping that it would be the brand that would actually do it’s job of keeping BO away. Sadly to say, I’ve been disappointed with every single one because I’ve yet to find an all natural deodorant on the market that actually works. Little did I know, that I could make my own and it would work! And not only work, but work better than any chemically filled deodorant that I’ve ever had! Seriously! Even Zach says it’s the best working deodorant he’s ever had so it’s man tested and approved, too. 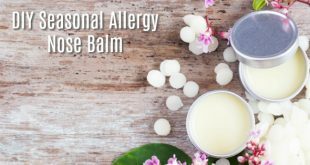 This is something I am so excited about because I’ve spent so much money over the years trying to find an all natural deodorant that works and this homemade version costs me next to nothing and is ridiculously simple to make. You have to try it – I know you are going to love it, too! Mix all ingredients together until well blended. It should resemble cake icing. Once it’s all blended together, you just need about 1/8 tsp per underarm. Just smear it with your fingers under your arm and you’re good to go! Remember, coconut oil gets soft and starts to melt at 76 degrees, so if you’re house is warmer than 76 degrees, it might turn a bit soft. If you’re house is chilly, it might harden up. Either way is fine and will work just great, regardless. You can store it in any container you wish. I was feeling a little fancy and found an adorable silver serving piece to keep mine in. *I used a vanilla essential oil for my deodorant and it literally took all the willpower I had within myself not to lick it. It smells amazing and I love using it. I smell so yummy all day! I think a lavender/vanilla combo would smell amazing and is probably what I will try next. You can have so much fun creating your own scent. I did a cedarwood scented deodorant for Zach and we both think it smells so good. Sandalwood smells just like Oldspice to me, so sandalwood is a good option for the guys. I’ve also heard cedarwood and sweet orange essential oil combination is great, too. Have fun with it! HI! 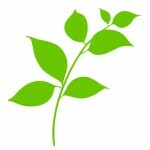 is arrowroot powder the same as tapioca starch (or powder)? I live over seas and I think this is the same thing with a different name…ok to subsitute another starch powder if not? thanks cant wait to try it….those pricy deodorants dont work!!! Hi Kelly! Tapioca starch/powder is extremely similar to arrowroot powder and will work great for this! Cornstarch is another good option, too. Good luck! i’ve used this for years–with the cornstarch option–love all natural living! I’m wondering…doesn’t the coconut oil ruin your clothes? Hi Gayla! I thought the same thing, but I have not had a single problem with it. When the coconut oil mixes with the baking soda and arrowroot powder, it doesn’t get or feel oily at all. It hasn’t left any marks or stains on our clothes. I love using coconut oil as deodorant. I have whipped coconut oil in a container in my bathroom and I just dab a little on my pits and then put a little baking soda over it. I keep baking soda in the bathroom also since I use that to brush my teeth with. Thanks for sharing your recipe; I’ll have to add in some essential oils! I use baking soda for my toothpaste, too! I love the idea of whipping coconut oil. I haven’t done it yet, but it’s been on my “to do” list for some time now. I am excited to try this. All of the naturals I’ve used have failed me over time. I recently tried the crystal roll on in lavendar and I like it but it fails halfway through the day. And since I tend to sweat more than the average 30-something girl, I really need it not to fail! I will try this one asap, I just need to pick up some more essential oils since I only have lavender and peppermint, and the lavender alone is a bit potent. Thanks again and also for the awesome banana/cinnamon/vanilla recipe that I tried earlier today. YAY!! Yay!! This works great for me, so I hope it does for you, too! 🙂 You’ll have to let us all know what you think about it after you try it! I made this on Saturday with peppermint oil (minty fresh!). Starting on Wednesday, one armpit was a bit irritated. By Thursday (because of course, I ignored it and carried on), I had a full-fledged red, irritated rash on both underarms. Has this happened to anyone else? I’m so disappointed! I loved the feel and smell of my homemade deodorant. I’m wondering if it was the baking soda that caused some abrasion, or possibly the mint oil. Just wondering if it has happened to anyone else? 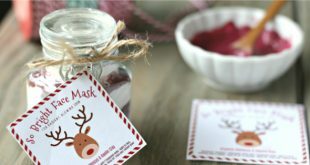 I have heard from people using similar homemade deoderant with baking soda that baking soda can sometimes be an irritant to really sensitive skin. Those people in forums described what you are describing and said it took about a week for their body to adjust to it. I normally have fairly sensitive skin and I was fine with it, as was my whole side of the family. But, I have heard around the internet that this does happen to some people. It may be the peppermint oil, too, but it’s hard to say for sure. I’m hearing it has to do with the pHd of baking soda and to work uo to full strength…I have the same problem so I’m working on it too. Also saw ti add raw shea buttwr helps…I had a skin cancer area removed in my armpit this summer. How many times have your arm pits been sun burnt? Mine either…so it really has me thinking all the chemical crap in commercial deoderants maybe? Peppermint oil irritates my skin. I think a different oil may solve the problem. I am going out on a limb and saying that peppermint oil is harsh on skin.I would stay away from any mint or eucalyptus , stick with soothing oils like lavender, ylang ylang, etc. Before I made this deodorant, I was trying out just pure coconut oil for my deodorant like I think someone else mentioned on here. It worked ok, but it didn’t quite last through the whole day, especially if I was exercising. I found that adding in the baking soda was just what it needed to work so I think you’re right that I don’t think there’s a replacement for baking soda (or at least none that I know of). Maybe lessening the amount of baking soda might help, too – you could just add some more coconut oil to your already made batch and some more arrowroot if needed to firm it up to a consisency that is good. I really hope it works out! Keep me posted! For Nikole…I used to make this kind of deodorant and it does indeed work well to combat odor. But it’s the baking soda that irritates, especially when I exercise and sweat. Now I’ve been using plain Milk of Magnesia for deodorant. It works well and doesn’t irritate skin or stain clothing. I am so happy to discover this. I too have been looking for a natural deoderant that works and this stuff is really great and works amazing. I even made some for my hubby and he loves it, too. I’m really glad it’s working for you guys!! You know the weird thing is that my husband’s deodorant did the same thing you are describing, but mine didn’t. The only difference between mine and his is that mine is in a silver container and his is in a little thin plastic clear tub (and we used different essential oils, too). Mine did get a little harder, but not much – it’s still like thick cake icing. His turned just about solid and looks like pure coconut oil, too, but it still easily comes out with your fingers. And we keep them right next to each other in our fairly cold house (66 degrees). Weird! I have no idea why his turned more solid and mine didn’t. But I’m not concerned about his because it looks the same consistency the whole way through and he’s been using it for months now and it works awesome for him. It doesn’t look like anything settled to the bottom either (does it with yours?). And when I get his out and rub it with my fingers, I can still feel the fine grit from the baking soda. 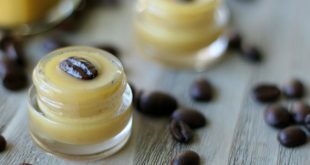 I am wondering if we can substitute extra virgin olive oil with coconut oil for this homemade deodorant recipe? I am wondering if we can substitute coconut oil with extra virgin olive oil for this homemade deodorant recipe? Hi P-G! Coconut oil has powerful antibacterial, antifungal, and antiviral properties and contains a lot of antimicrobal lipids which is a lot of the reason this deodorant works so well. Olive oil also contains some of these properties, but I am not sure how it compares to coconut oil in that respect. I know this deodorant works extremely well with the coconut oil. I think if you can’t get your hands on coconut oil, olive oil could possibly be a good substitute. I can’t say for sure how well it would work only because I’ve never tried it 🙂 If you try it, make sure to report back on your findings! I wouldn’t use olive oil! I was informed by a dermatologist that olive oil is used to grow bacteria in. Doctors do it a lot of labs and research! So stay away form the olive oil unless your eating it and keep to the coconut oil it because it does have natural antimicrobial and anti-bacteria properties. This is my first time on your website and I was really excited to try out your recipe for the homemade deodorant. Unfortunately, when I tried it out today it didn’t work too well; even though I didn’t do any strenuous exercise. When I made the deodorant I melted the coconut oil, do you think this could have affected its efficiency? If not, what could I do to improve its performance? Bummer, Nathalie. I am bummed to hear that. I was so excited to share this because it’s worked so well for me and my family. Do you have something that you used in the past that worked well? Honestly, I am not sure what you could do improve the performance. Maybe increase the baking soda if it’s not irritating to you and maybe add a few drops of tea tree oil. I hope you find something that works well! I’ve read sometimes you need to detox your armpits when switching to natural deodorants. Due to all the chemicals in store bought deodorants they build up in your pits. They recommend after your shower apply a light layer baking soda to damp skin on your armpits. I’ve used this method as deodorant before (not the most successful for me). It can dry out your pits though so you may need to moisturize periodically. And I love this idea of placing it in the fridge right away so nothing settles! Thank you! Question – how do you apply? Actually let me rephrase – any way to apply without using your hands? Have you found any dispensers? Hi Amy, we just use our hands, but someone else on facebook recommended saving your old deodorant dispensers and using them. You just have to unwind it until it’s all the way down and then put the mixture in it. I have not tried this and am not sure how it would work in the warmer months since this tends to get softer in the warm months. I’ve heard some people leaving the deodorant in a deodorant dispenser in the fridge, which is kind of odd, but hey – if it works, it works. Hope that helps a little. If anyone else has any suggestions, comment away! I live on a Caribbean island and successfully used an old deodorant dispenser to hold my mixture. It didn’t melt or settle, but that might be due to the bit of shea butter (2 tbsp) that I added. Thanks for that great tip, Hedsa! I love that idea! I put mine in old deodorant bottles, put it in the fridge for a few hours and it stays perfect in the bathroom (except for a few hot months in the summer). 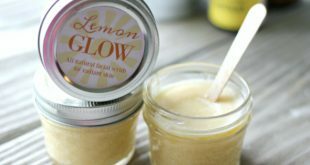 I haven’t tried it yet, but I read another recipe that adds a little bit of beeswax to the mix which helps keep the deodorant from melting in the warmer temperatures. Perhaps that is something to try for the next batch. That’s a great tip, Diffy! I’m due to make a batch in the next 2 weeks, so I’ll try it. Thank you! If you use corn starch, make sure it’s organic. Otherwise, it is GMO going into your pores. Agree, agree, agree! Thank you for the reminder! Thanks for the recipe, sounds easy enough 🙂 sometimes deodorant can get a little chunky under your arms by the end of the day…have you found any residue left on your skin or white residue on your clothes? I personally haven’t, but I’m curious to know if anyone else has. Hope this works for you! Hi there! I made this deodorant last week. It really works well. But, it leaves oil stains on my clothes. Am I doing something wrong? This is a good, informative article. If you have odor problems, there are also natural deodorants out there that are long-lasting and effective. I’ve used a bunch of them, but I’m most loyal to Lavilin. I think it’s better than the other natural deodorants out there and it’s reasonably priced. You can easily find it on Amazon. Thank you so much for the post! I had been looking for a natural deodorant, mostly because of the potential links I keep reading about between the chemicals in most commercially produced deodorants and breast cancer. I had been hesitant to buy any of the natural varieties sold in stores due to the costs and the reviews I’ve read that have stated it didn’t work for them or they had a reaction to it. But this deodorant – I already had all the ingredients so I figured what did I have to lose? This is hands down the BEST deodorant I have ever used. Ever. It far surpasses anything I’ve ever bought in the store. I used a slightly heaping 1/3 cup coconut oil, still in it’s solid state; 1/4 cup arrowroot; 1/4 cup baking soda; 6 drops tangerine essential oil. It has a very light scent I can only smell when I first put it on – next time I might skip it all together. It doesn’t show when I’m wearing a tank top, it lasts over 24 hours for me, and I have yet to have a problem with it being sticky (a big problem with my old gel deodorant!). Win!! Yay!! I love hearing this! Ya know, if the recipe wasn’t so darn complicated. I mean really, I put some coffee in the French Press….gathered the ingredients…mixed it up….put it in the fridge to harden….done before the coffee was ready! Carla, some people are very sensitive to baking soda. You may have to greatly reduce the baking soda and add more arrowroot. If baking soda continues to be an irritant to you, try just using milk of magnesia for your deodorant. Many people who cannot tolerate the baking soda do very well with milk of magnesia! I’m having the very same problem – it smells great and seems to be working great, but my armpits are SUPER red after three days using it. Do I need to just pitch the whole batch and start over? Any suggestions??? For now I just use baking soda with a bit of cornstarch, but I prefer having the coconut oil. Hi! I made a mixture of coconut oil and baking soda about 4-5 weeks ago to try since I have NEVER found a deodorant or antiperspirant that works for me – I sweat through the strong stuff (I swear it makes me sweat more), and the natural stuff either irritates my skin or wears off in an hour or both. I didn’t have arrowroot and didn’t want to use cornstarch, so I just used the two main ingredients (I may experiment with tea tree oil later), but I wanted to put a thought out there. I read your advice regarding sensitive skin (mine) and baking soda, and I think I either put too much in, or rubbed it in too much, because I ended up with infections in both armpits….likely from the gym pool/hot tub, and my doctor thought the microabrasions from baking soda may have let the nasties in. I REALLY don’t want to give up on this because it seriously is the first time in my life that I have found a working deodorant that didn’t scare me to apply to my body….I’m now 7 months pregnant which is why I was really searching to give up the aluminum. Anyone else experience that? Such a sensitive and porous area….the infection was AWFUL. But I am stubborn enough to not go back to regular antiperspirant…I’m going to try milk of magnesia next. Where do you get that? CVS? Do you have to adjust anything else when substituting milk of magnesia? I’m just worried that it will be too liquid-y…. When using milk of magnesia, you just have to use milk of magnesia – that’s it! I haven’t used it personally, but many people swear by it! That is such a great tip, Rebecca! Thank you!!! This is the first day I have tried this and all I can say is WOW! I’ve been eyeing the recipe for about 8 months, and I wish I would have tried it sooner! I’ve had no luck with other natural and non-aluminum deodorant/antiperspirants. Arm and Hammer worked okay but rashes for 2 winters were starting to get OLD. I made this recipe without essential oils and put it on halfway through the day. Not only do I not smell this evening, it took away any odor I might have acquired prior to applying it. *Note, when I applied it, it was still in liquid form. I think I will have to try and keep it this way as to not have it feel abrasive. * Also, I found some Kuumba Made oils at Whole Foods that I’m going to try to blend in… lots of great scents and mixtures of scents if you’re looking for something beyond a single essential oil (I recommend Vanilla Musk and Wildflower). Awesome!! 🙂 That Vanilla Musk sounds so nice! I will check them out! For some reason, I struggle to find a recipe that works for me, and I’ve tried a ton. Will try this recipe later this week – hopefully it’s a winner! Been pretty good for me! Love this deodorant!!! I have my daughter, husband and now I made a batch for my sister to try. 24 hours later and NO ODER…I used MOM…I got that from the Peoples Pharmacy but like this much better and I can make it myself!!! This might be a silly question but has anyone experienced oil stains on clothing? When I use coconut oil for a moisturizer it seems to take forever to absorb and my assumption is the same for underarms. Maybe this is where the arrowroot comes in handy? Also, how is the anti-perspirant side of this? Teajae, some people swear by just using milk of magnesia. I haven’t tried it myself, but so many say it works great! I have a question, is it the aluminum in the Baking soda that helps or can I use aluminum free baking soda and have the same results? I have used this in the past and loved it, but it had aluminum in the baking soda. Just curious if I can cut the aluminum out or if you know?? Thanks!!! After reading, I may make some with just arrowroot for my husband and cut out the baking soda for him altogether, as he rashed when he tried mine previously. Hi, I was wondering how you get it to look like that paste? I made this recipe and it is super awesome, but mine is super hard now and i can’t get it to thaw anyway besides running under hot water…any tips on how to make it not so hard? Hi Katelyn! I know what you mean! Since this has coconut oil in it, it will harden at temperatures below 76 degrees (which is annoying, I agree!) But one tip I learned was that you can whip the mixture with hand beater for about a minute or two and it will prevent the coconut oil from hardening! Hope that helps. Okay, I have been wanting to try my hand at making my own deodorant but was feeling a bit overwhelmed with all the recipes out there mostly having to order raw Shea butter was stopping me until this recipe. Ive been using for two days I put in orange and cedar wood EO’s it smells mostly of coconut oil which I love but the important part I DON’T SMELL lol and I’m pregnant so those hormones can get me sweating. Every natural deodorant I’ve tried I still have a scent of sweat after use.. this is an amazing recipe even after sleeping overnight I wake up to coconut oil scent. , so so happy I made it.. and sooo easy! Thank you! Thank you!